Here’s why early filing helps: In an all-too-common scam, thieves use victims’ personal information to file fraudulent tax returns electronically and claim bogus refunds. This is usually done early in the tax filing season. When the real taxpayers file, they’re notified that they’re attempting to file duplicate returns. 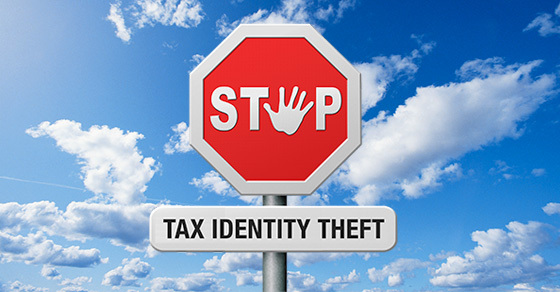 The IRS is working with the tax industry and states to improve safeguards to protect taxpayers from tax identity theft. But filing early may be your best defense. Of course, in order to file your tax return, you’ll need to have your W-2s and 1099s. So another key date to be aware of is January 31 — the deadline for employers to issue 2017 Form W-2 to employees and, generally, for businesses to issue Form 1099 to recipients of any 2017 interest, dividend or reportable miscellaneous income payments. If you don’t receive a W-2 or 1099, first contact the entity that should have issued it. If by mid-February you still haven’t received it, you can contact the IRS for help. Of course, if you’ll be getting a refund, another good thing about filing early is that you’ll get your refund sooner. The IRS expects over 90% of refunds to be issued within 21 days. E-filing and requesting a direct deposit refund generally will result in a quicker refund and also can be more secure. If you have questions about tax identity theft or would like help filing your 2017 return early, please contact us.